Now Playing through August 12! must-see feat of musical theatre." 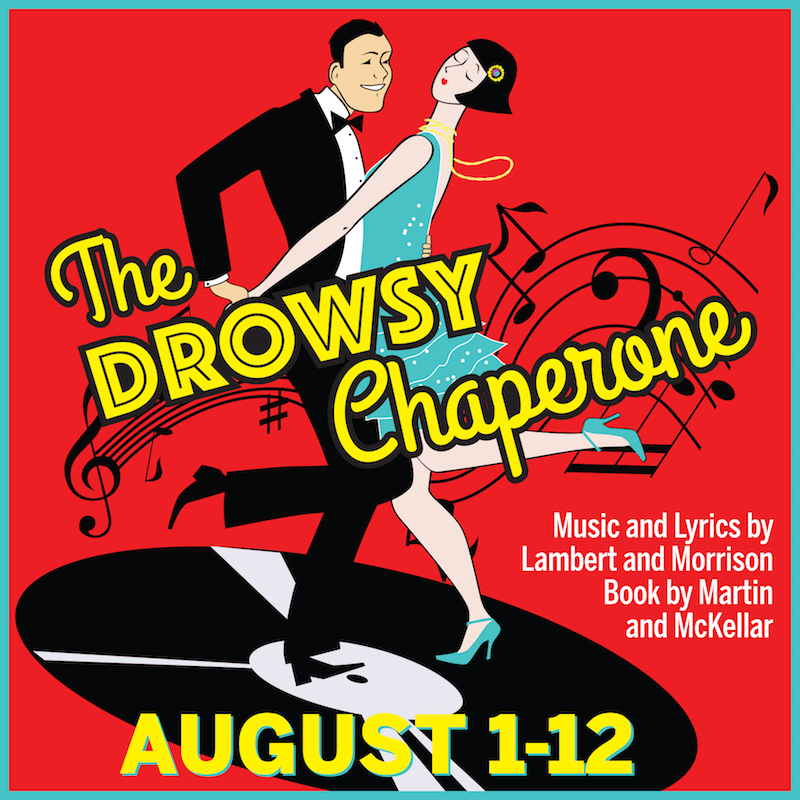 A musical comedy fan known only as "Man in Chair" puts on his favorite record, the original cast recording of a fictitious 1928 musical called The Drowsy Chaperone, and in an instant the record comes magically to life. His apartment is filled up and swept away by a jazz-age evening of madcap delight. Out of the woodwork come two Broadway stars on the eve of their wedding, a bumbling best man, a desperate theater producer and his moll, a not-so-bright hostess, two gangsters (--or are they pastry chefs? ), an aviatrix, a misguided Don Juan and a very heavily intoxicated chaperone. Runtime is approximately 2 hours and 3 minutes including one intermission.